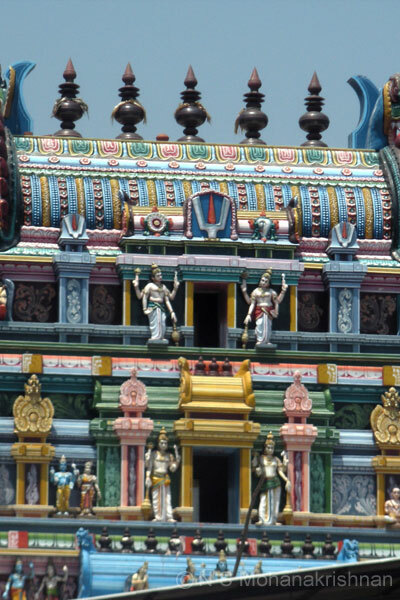 Lord Narayana poses as Thirivikrama with all his five weapons with his left hand extending up to the left foot, which is folded upwards. 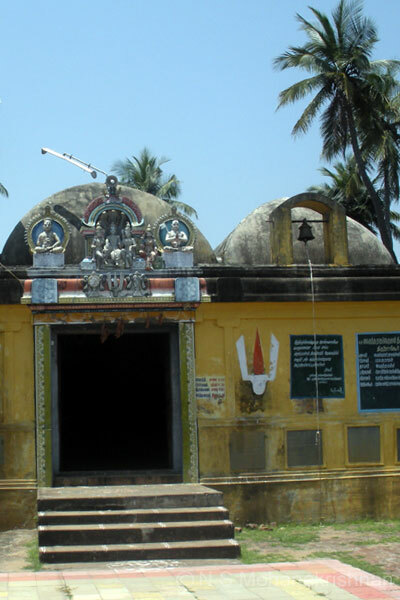 Thiruthalaichangadu Nanmadhiyam is a small temple facing east and has a single Prakaram. 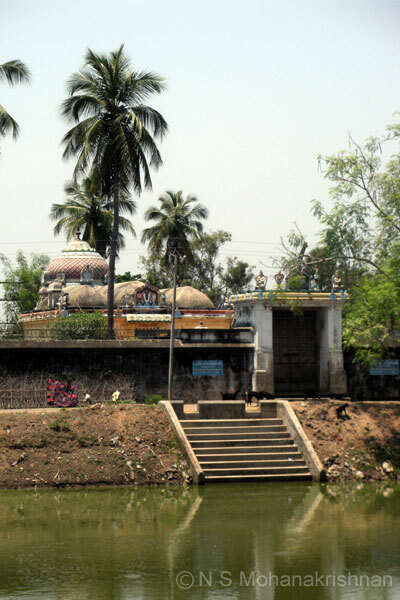 The historic subject of giving equal status to Cauvery and Ganges rivers happened here and they are seen sitting here on the head and feet of the lord respectively. 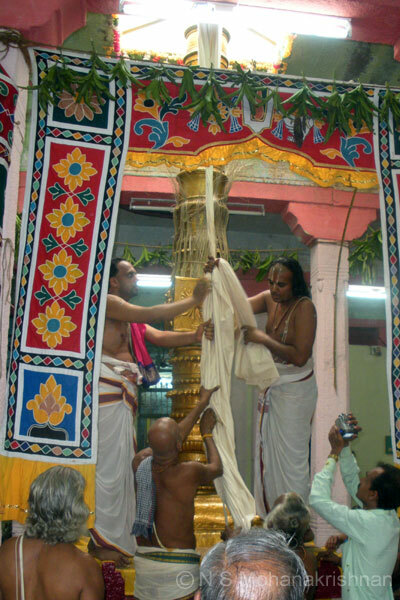 A wonderful brass statue of 8 handed Narasimha killing Hiranyakashibu, with one hand touching the head of his son Prahlada is seen here. 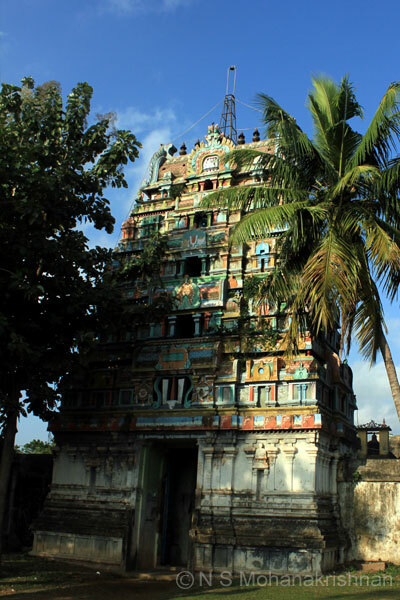 Thiruvaikunda Vinnagaram – Himsagan, an evil Asura, is said to have been brought here by the lord and given the Theertham to drink, thus changing him to do good henceforth. 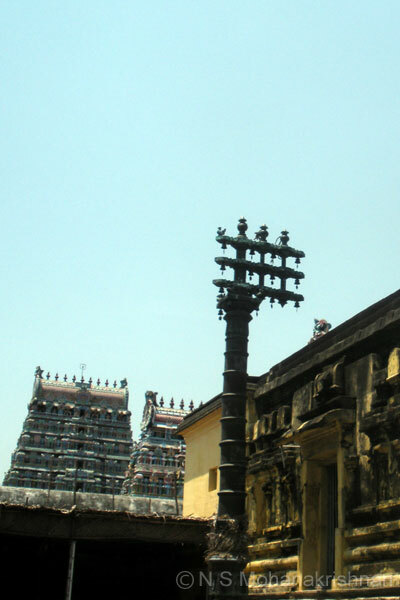 Thiruvanpurushothamam – The Purushothama name for the lord is said to have occured here first. 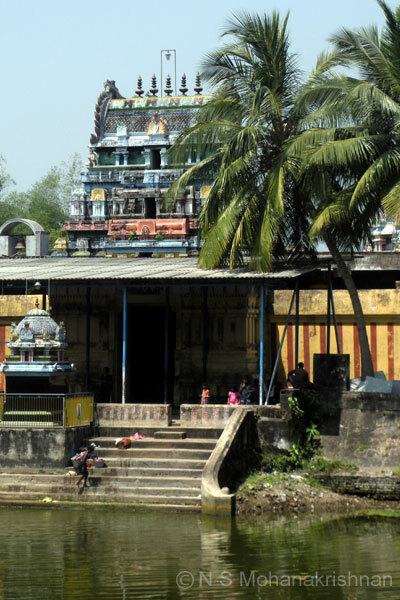 Thiruthetriambalam – Lord Surya is believed to have bathed in the Theertham here. 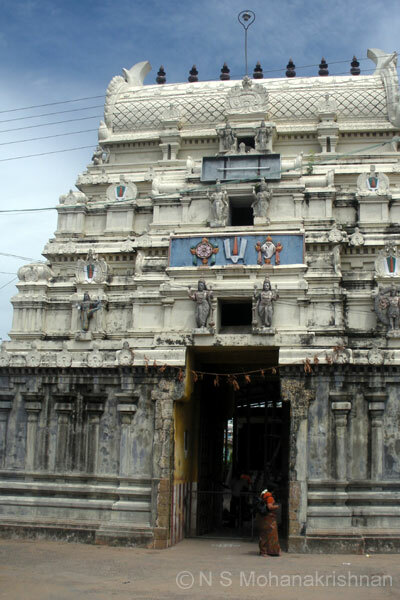 Thirumanimadakovil is a wonderful east facing temple and built in the storeyed style. 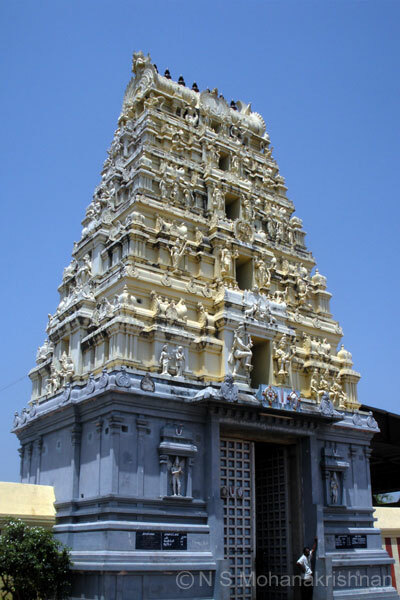 The main shrine is elevated and the Rajagopuram is a 5 tier structure. 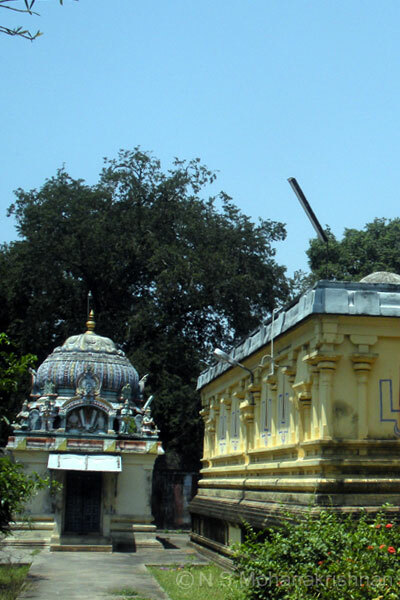 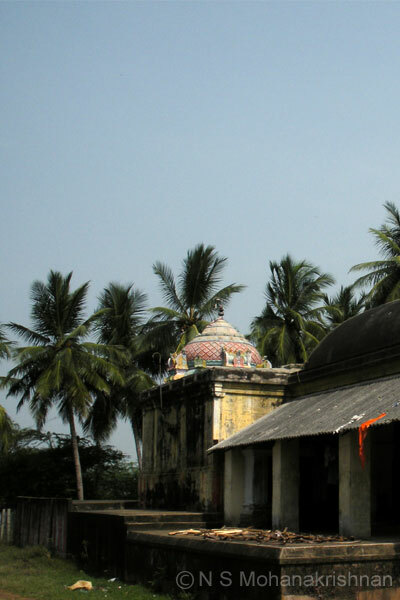 Arimeya Vinnagaram is an ancient temple where Tirumangaiazhwar has sung hymns of Divya Prabhandham. 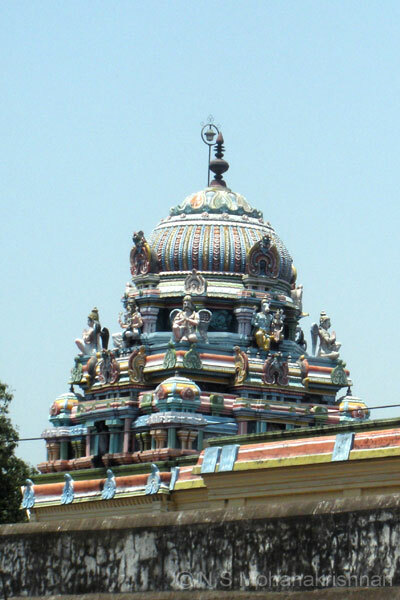 Thiru Chemponcheikoil – Rama, in order to relieve himself of the curse by killing Raavana, is believed to have created a Golden cow and worshiped here. 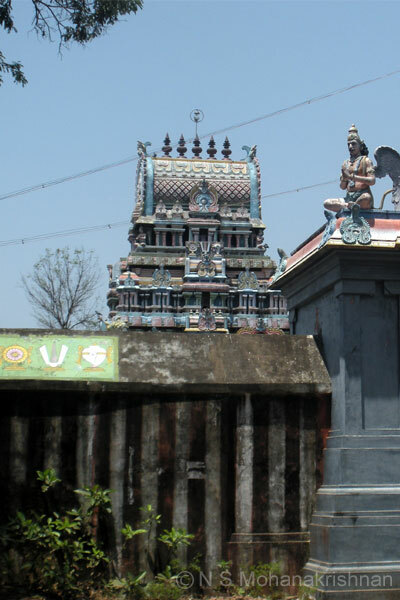 Thirumaanikoodam – Chandran is believed to have worshiped the lord after bathing in the Theertham here to rid himself of a curse. 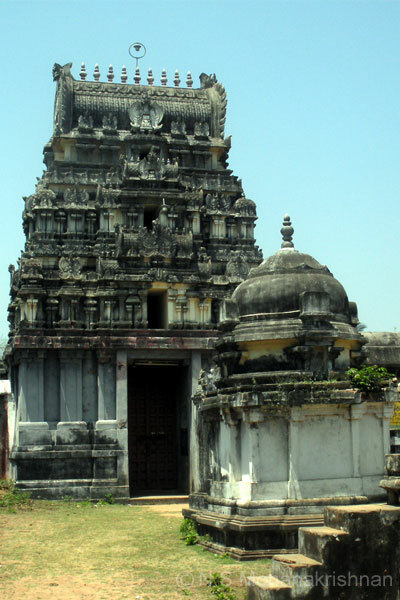 Thirukavalambadi is a small east facing temple with a large temple tank in the front. 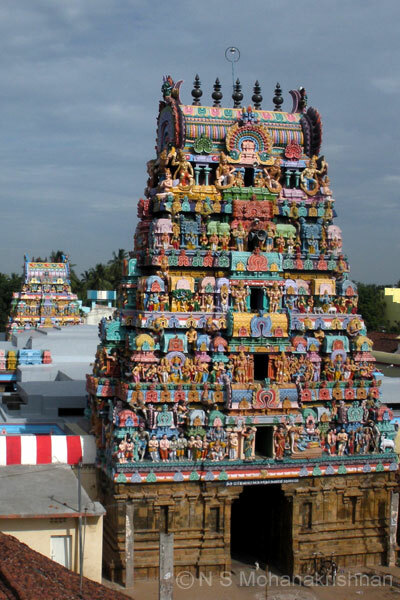 Thiruvali Thirunagari are actually two temples which have been considered as one temple and sung upon by the Alwars.